On this post, as the same with last year’s post, we will delve into 30 songs which I reckon will have massive airplay on radio during the upcoming 3 months, as well as also warming our hearts and changing lives during that time also, with their heartfelt lyrics and relatable topic explored. Though we did do this in Jan this year, we need a revision now and then given there are thousands of songs releasing every year, and predictions at the start of the year can be wrong! Anyway, like I mentioned earlier as well, this doesn’t mean that these songs need to be released around that time, but rather, in my opinion already released (or yet to be released), which will have a big impact in people’s lives during the next few months. Summer, no matter what hemisphere you live in, is a time for just hanging out with your friends, with the windows down and the stereo system blaring out your favourite tunes! So which do I think will I sing off by heart by the end of August 2017? Read on and find out! Lecrae is the most popular rapper in the world right now. Maybe that’s a fact, maybe it’s not, but that’s what I think and hope. His influence really started with “Background” way back in 2010, and has only exponentially grown since then. “I’ll Find You” features the stellar and powerful vocals of pop superstar and mainstream sensation Tori Kelly, and this duet is what I reckon will place Lecrae more on the mainstream media map (definitely a good thing!) in the coming months, as he uses his growing influence to spread the gospel. As for this song, I reckon it’s one of the best he’s ever recorded, don’t you think? Of the 5 members of 1GN, who disbanded late last year, I reckon Carmen is one of the girls who will have a fruitful music career post the group. Both Lindsey and Kelsey are recording with their husbands, and while I’m not sure about Kayli and Lauren-Taylor; Carmen’s two offerings are straight up catchy and contain plenty of inspiring themes and lyrics. Especially this song, which I reckon will blow up in the coming months. Take a listen. It’s got GabeReal in it! Need I say more? 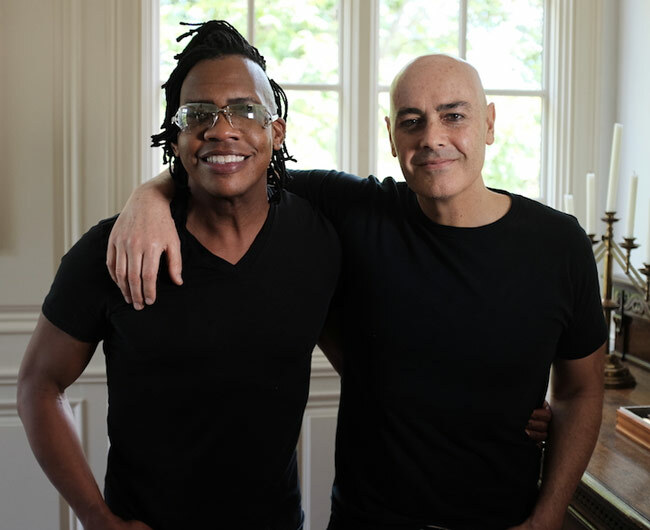 Written by Cody Carnes, Newsboys have covered yet another worship tune. One of the last worship tunes they covered was “We Believe”, and the last worship song covered before that was “God’s Not Dead”. We all know how those songs turned out- global hits that stayed on the radio for the longest time ever…in a good way! So, it stands to reason that “The Cross Has The Final Word” will have the same result of being big, right? I reckon it will be bigger than the other two aforementioned tracks though. Cause of Peter Furler singing guest vocals! What do you reckon? EDM artists Capital Kings underwent a personnel change last year with Jon White leaving the band and Dylan Housewright joining the duo. The result is a fun, summery 3-minute ball of goodness that I can’t get out of my head. Don’t you reckon this track is infectious? Is this a taster or teaser of how Cody Carnes and Kari Jobe would sound like if they abandoned their solo careers and joined up as a husband/wife duo like Love & The Outcome? If so, then I approve! Seriously, they’re married, why wouldn’t they team up and form a new duo? Regardless, “Till The End Of Time” is so catchy, and I expect the song to take off in the coming weeks, as Cody readies his debut album later on in 2017. The Answer is coming in October 2017, and “Word Of Life” is playing almost every day on Air1 Radio (and I should know, cause I have the app! )… but no seriously, Jeremy has previously released some pretty inspiring and catchy tunes, and this melody seems to be no different. Though the music video is a bit bland, we can all look past that, right? The debut single from the former frontman of Anberlin, one of the most popular rock bands over the past decade, is as CCM as they get. But it’s as worship as they get, and for a worship album, Stephen’s offering sets out to do what he intended, and that’s to draw listeners into the knowledge of Jesus Christ. It also helps that Stephen’s vocals sound similar to Kevin Max’s and Marc Martel’s! Speaking about Kevin Max, since he left Audio Adrenaline, he’s been busy in terms of releasing new material. Having released studio albums Broken Temples, Playing Games With The Shadow, Starry Eyes Surprise and Serve Somebody all within the past two years, and each release a myriad of different genres, Kevin has unveiled “Plans”, a new single written with Seth Mosley and Mia Fieldes. Pop and CCM in nature, no doubt “Plans” will be big at CCM radio (even though Kevin is currently an independent artist! ), and the message of God having a plan for us, revealing it, and allowing us to step into that plan, is a bonus! I reckon The City Harmonic have saved their best song ever for last! Just listen to “Honestly”. Watch the live video. Read the blog that my brother Jonathan wrote about the song. Then tell me that this song won’t be the biggest of their career. What are you waiting for? SHINEBRIGHT may be gone, but Emily Irene Fertig is here to stay. One listen to the piano led “Whole” makes me think that her best is yet to come for her, and hopefully the next few months where she will release a few more singles, mean that we will be blessed with her music for a very long time. Manic Drive have always been on the fringes of CCM. No more, I reckon. “Easier” is by far their most personal, poignant, emotional and powerful song yet, as they speak honestly about how the Christian life isn’t easier, and that through every trial and tribulation, Jesus makes us stronger. If they were signed, I’d say “Easier” on WOW Hits 2018. That’s how much I reckon this song will impact people’s lives. Releasing his sophomore album Adventure last year, Matthew Parker is one of the veteran artists in Dream Label Group. His latest single “Never Giving Up On You” is exploding here in Australia, so I expect it to be bigger when it is in circulation in the U.S. Such a simple yet inspiring and compelling melody. It’s essentially the gospel in 5 minutes. It’s been covered 4 times (Laura Story, Aaron Shust, People Of The Earth, Andy Garcia) and will no doubt be covered some more. It’ll be what Seth Condrey, the songwriter, will be famous for at the end of the day. And though it started being a single late last year, this song has legs, and I expect it to be still on the airwaves come 2018. The title track of Hillsong UNITED’s ‘surprise’ studio album that no one thought they were releasing any time soon, is probably one of my favourite songs from the band ever. Rooted in scripture and with the band’s passion oozing out, “Wonder” looks set for at least 6 months on the radio, maybe more. And when it leaves the radio, it will enter people’s hearts for a lifetime. The quartet’s latest single, the band have recorded all in all 4 versions (original, and with Lauren Daigle, Andra Day and Serene Ryder), and are re-releasing their 2016 album HARD LOVE with extra tracks later on this year. Plus, there’s a music video of “Hard Love” with Andra Day. Need I say more? It’s probably one of the band’s most inspiring singles ever alongside “Signature Of Divine”, “Brother” and “Keep Your Eyes Open”! The official second single after “Closer” from producer extraordinaire GAWVI, “Like We Belong” is a ball of EDM goodness where I can just tap my toes and start to dance. It also helps that Air1 are playing this song like no tomorrow, and that Jonathan Thulin is powerfully and flawlessly singing the vocals, and confronting us with the notion that each one of us are the same underneath and we all do belong together, as humans and as society. A modern day retelling of the hymn “It Is Well”, Finding Favour’s first single off their sophomore album Farewell Fear is probably one of the most ‘needed to be heard’ songs that I have heard in 2017. Everyone who feels happy, sad, tired, stressed, joyful, angry and every other emotion in between, should listen to the song that speaks about the fact that God is by our side all the time, therefore we do not have to be afraid of the future nor anything else. Yeah, yeah, I know that “Broken Things” is the lead single from the upcoming album All In from Matthew West, and it’s that song that is popular on the airwaves right now. But this post is sometimes about speculation, and what I speculate is that the title track will be the song that will impact listeners the most. Probably more CCM than “Broken Things”, “All In” speaks about being 100% devoted to Jesus and the Christian walk, no matter what happens along the way, and 100% devoted to what Jesus has in store for us in the future. Maybe it’ll do well on the radio, maybe it won’t. But that is besides the point. Lives will be changed from this song, I believe it! Standing tall at 5 minutes, this is not a radio friendly song. Yet it’s probably Nichole Nordeman’s most personal, honest and emotional song she’s ever recorded. Check out the lyrics here, and listen to the song, and let me know what you think. There’s not really much more that I can say about this song. Except to say that it probably will be my favourite song from Every Mile Mattered and maybe my favourite song from Nichole overall. Yep, this song is just under 3 years old. Yet it’s still relevant. KB is in it, and that ought to count for something right? Nonetheless, both Joel and Luke eloquently remind us of the fact that we need to ask God’s forgiveness for constantly doing the things we don’t want to do, and not doing the things we do want to do, and should do. And I thought “Through Your Eyes” would be the breakout single from Britt Nicole’s self titled album which released last year! Boy was I wrong! It’s “Be The Change”. It’s not a Christian song, but rather a motivational mainstream inspirational song about banding together and being the positive change throughout the world through unity and togetherness. The fact that the song cross boundaries of all kinds means that this is the mainstream hit that will bring Britt’s music firmly into the mainstream, and her faith too. Destined to change people’s lives, there’s no telling where Britt will go now. Sky’s the limit, and with God, she can be the change in the mainstream music industry. Who reckons Ryan Stevenson’s comforting yet confronting single about the gospel will be more impactful than “Eye Of The Storm”? I think so too! Just listen to the track and let me know your thoughts! I seriously hear this song everyday on Air1. It’s definitely a good thing, to the point where I would pick this song first out of the 39 songs for WOW HITS 2018, if I was choosing a list from scratch from the top of my head. “Bulletproof” from Citizen Way is probably the band’s crowning achievement so far, so let’s just sit back and marvel at the songwriting prowess of the band! John Waller and his family have recently created a business and a ministry called Crazy Faith Coffee, and this song “Awakening” is the result of being faithful to what God has given them. This is the song that will open doors for the family in ways they probably can’t even imagine, and I wouldn’t be surprised if this song is on every single set list of every remaining concert that John embarks on for the rest of his career. The lead single from Becca’s debut full length album, and also a reworked hymn, I reckon this is the song to take Becca beyond her wildest dreams. Funding her album via kickstarter, Becca’s album is one to look out for during the coming months. It’s been 3 and a half years since Ready To Fly and after an amicable label split, Jamie is back with her new album ’91 in September this year. Her new song “The Happy Song” is the Jamie Grace we all know and love (which the video features her playing every single instrument! ), and is super catchy. If every song is half as good as this, we are in for a treat! The band recently released a new lyric video for “Come To The Table”, and guess what? It’s a brand new recording, with the piano being more at the forefront rather than the guitars on the original version. And why would the band re-record a song if they’re not pitching it to radio? If it’s on the radio, then lives will be changed, right? Take a listen, and let me know which version you like better? Sure, Lifer from MercyMe released 3 and a half months ago, but given the 1 minute mini-trailer for “I Can Only Imagine”, the film releasing Easter 2018 and based on Bart Millard’s life and him writing the hit song that will change his life, recently debuted; and the trailer for “I Can Only Imagine” will probably be not too far away; I can envision “Even If” being played more and more on the radio, and that’s definitely a good thing. It’s perhaps the most honest and personal song from the band since “I Can Only Imagine” anyway! Nope, you’re definitely reading this correctly. Sure this song was on my previous top tens list in January, of 30 songs to be impacting in 2017, but such is the strength of Mike and his friends’ songwriting, and such is the raw emotion from the band, that I cannot not place this song on the list, even if it is a double up. Even though most songs are impacting for around 6 months or maybe a bit more, I reckon “I Have This Hope” will be the band’s most impacting single of their career (alongside “By Your Side” and “You Are More”! ), lasting more than a year, and even more than that! What do you reckon? An overnight success way back in 2008, the group of 6 sisters have been in the music business for nearly 10 years. If you want to read more about the band (cause they’re not too well known in the CCM industry! ), then read my top tens post about them here. Anyway, plenty of albums later, we see a full length Christian-themed album in Alive, and it is “Never Let Me Fall” that I reckon will propel the group into the CCM market. While I was wrong in that “Never Let Me Fall” didn’t take off at the start of year (it was the title track that was the ‘first single’ so to speak); I firmly believe that now is the group’s time to impact the people that God wants them to. A recent performance at the Grand Ole Opry, and an upcoming concert opening for Matthew West, should be more than enough for listeners from all walks of life to stand up and take notice of Christina, Katherine, Lisa, Amy, Lauren and Dani.